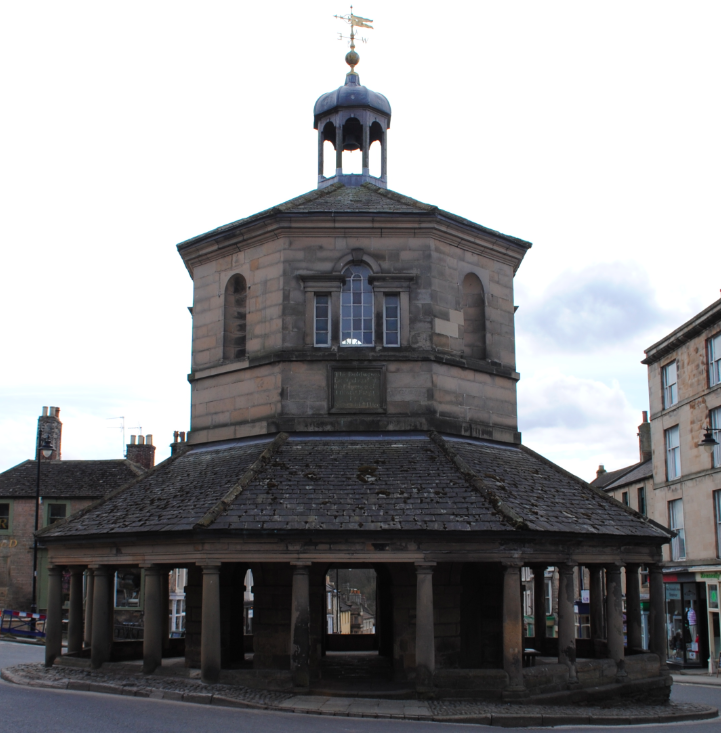 Located on Market Place in the historic market town is the Market Cross, also known as the Butter Mart. 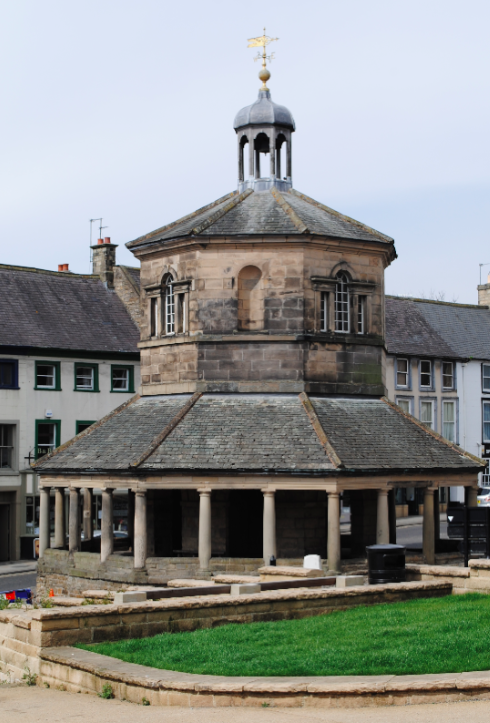 Still retaining the cobbles surrounding its base, the octagonal building was built in 1747 by local man Thomas Breaks. 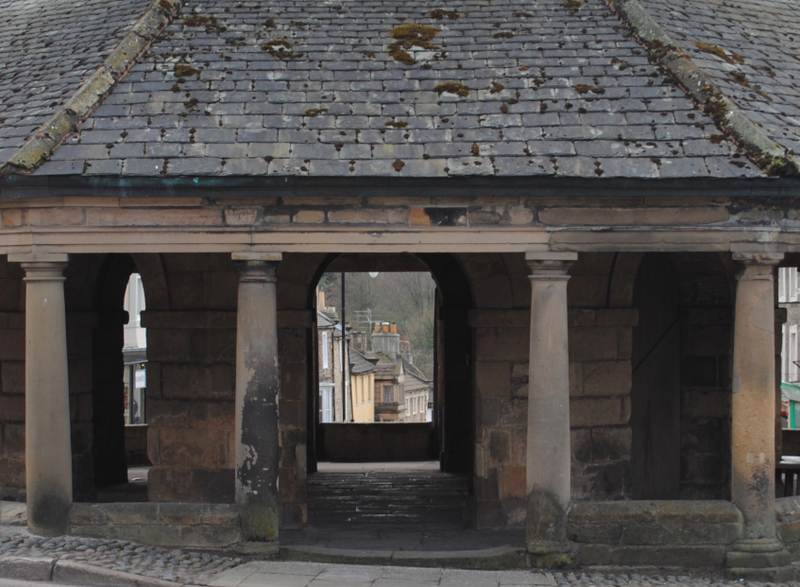 Constructed of ashlar, the two storey building features a Tuscan arcade of twenty four columns in total. The upper storey has Venetian windows with glazing bars which are alternated with round headed niches. The ground floor was once where farmer’s wives sold dairy produce and is where the name Butter Mart derives from. 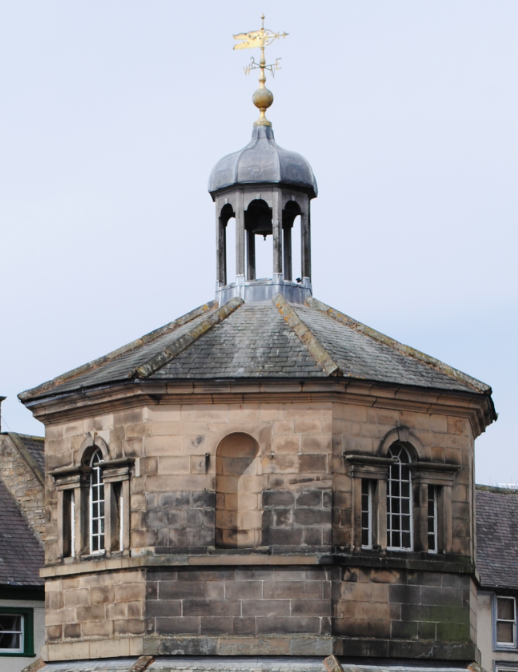 The hipped roof supports the lantern with ogee dome topped with a weather vane finial. The building is Grade I Listed.